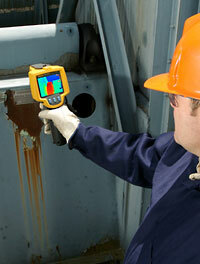 The Fluke Ti125 Thermal Imager in use on a chiller. Control panel. With a thermal imager you can effectively see issues with low voltage systems in control panels. 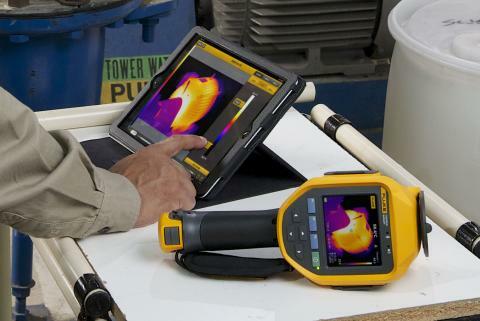 For example, a thermal imager can detect poor electrical connections or failed components. Compressor. 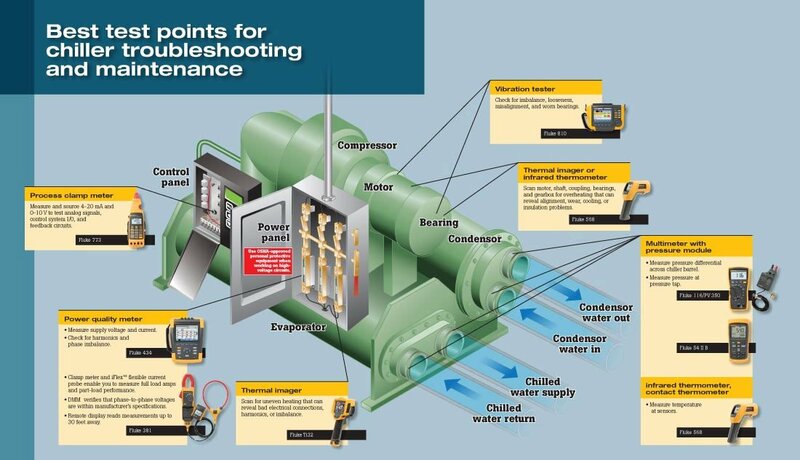 A thermal imager can aid in diagnosing compressor-related problems by detecting temperature differences in various parts of compressors. Motor. 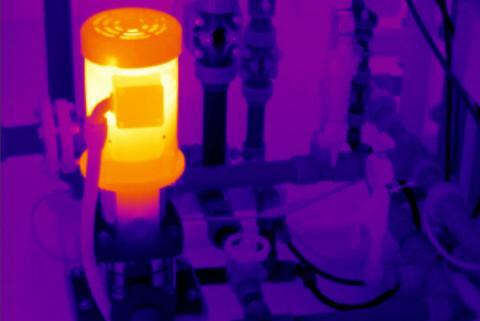 A thermal imager can be an invaluable tool for inspecting and maintaining motors. Use one to inspect electrical connections, cooling vents, and bearings. Bearing. Use a thermal imager to detect bearing issues in motors: underlubrication, overlubrication, shaft misalignment, and other general wear conditions. Chilled water supply and chiller water return. The temperature of water supply and water return in chillers is a good indicator of chiller performance. A thermal imager can often give a good picture of these lines, and provide a reasonably accurate temperature measurement as well.